In Extraordinary Minds, Howard Gardner provides portraits of four “exceptional individuals and an examination of our own extraordinariness.” More specifically, he shares his thoughts about Wolfgang Amadeus Mozart, Sigmund Freud, Virginia Woolf, and Mohandas Ghandi. He suggests three lessons to be learned from research on them and other extraordinary minds conducted by him and his associates. 1. They stand out to the extent to which they reflect — often explicitly — on the events of their lives, large as well as small. 2. They are distinguished less by their impressive “raw powers” than by their ability to identify their strengths and then exploit them. 3. They fail often and sometimes dramatically. Rather than giving up, however, they are challenged to learn from their setbacks and to convert defeats into opportunities. “For Mozart to become a creative Master, rather than a derivative expert, he had to turn his back on the models of his time and strike out on his own…Intellectually, Mozart had no ambivalence. He held nearly all his contemporaries in contempt and did not wish in any sense to emulate them…As a creative Master, Mozart distinguished himself in two respects. The first is [begin] producing permanent works in a genre [end]…The second way Mozart distinguished himself as a Master was in executing stylized performances.” Also, as do other Masters, he solved recognized problems, formulated a general framework or theory for composition, and performance under severe stress. 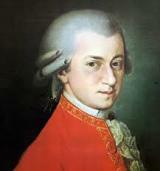 To learn more about Mozart’s life and work, please click here. Howard Gardner is the John H. and Elisabeth A. Hobbs Professor of Cognition and Education at the Harvard Graduate School of Education. He is also an adjunct professor of psychology at Harvard University and senior director of Harvard Project Zero. To learn more about Howard and his work, please click here. Extraordinary Minds was published by Basic Books (1997).